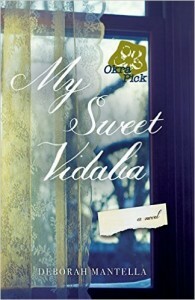 Today I'm hosting a blog tour stop for the My Sweet Vidalia by Deborah Mantella. I'm just going to dive right in and tell you that this was a bit of a hard book to read due to the fact that abuse was the main subject matter. I did see spousal abuse mentioned in the description before I signed on to review this book, but if I had realized just how much the entire book centered around it, I would have declined. I almost stopped reading several times. Abuse weighs heavy on the soul and after feeling its full weight in the first 50 pages, I wasn't sure if I was willing to go on. So I took a breather, but decided to keep reading. And while I had to stop a few more times, I did wind up finishing the book. 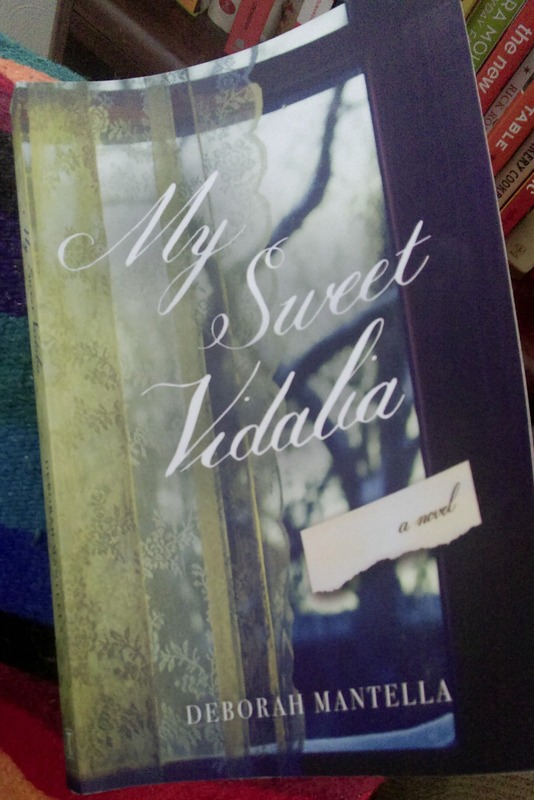 A story set in the American South in the 1950's and 60's, we meet our two main characters, Vidalia (Vida Lee) and Cecilia (Cieli Mae) right away. One of which is alive and one of which is not. I found this aspect of the story interesting. A soul hanging on to another in order to survive - but which soul was doing the holding was the interesting part. I knew one twist very early in the book (which made me wonder if it was actually meant to be a twist or not), but the story played out fairly unexpectedly...if somewhat drawn out. Although I suppose you could call the ending happy, I don't think it was light enough to fully lift the oppressive weight of what happened in the rest of the book from my shoulders. Plus, and this may just be nitpicky, but the "word" irregardless was used FIVE times in this book. That alone is enough to make me want to stop reading. As for food, there was plenty to be found. As I hear myself saying often lately - it was set in the South, after all. There were the obvious offerings of sweet tea and lemonade, as well as biscuits and chocolate gravy, "sweet tater pies", Coca-Cola with Peanuts, okra, green tomatoes, scrapple, fried chicken, tuna and potato chips casserole, spaghetti, fried pork chops, biscuits and blackberry jam, black-eyed peas and collard greens, Wonder bread, Ritz crackers and Campbell's tomato soup, warm sugar biscuits, ham and red-eye gravy, sassafras tea, pecan shortbread cookies, raisin biscuits, honeyed ham and roast chicken, corn bread, cowpeas, speckled grits, fresh shucked corn, cobbler, coffee cakes, and even breakfast casseroles. The mention of good Southern food lifted my spirit a tiny bit as I read the pages. So, this wasn't my favorite read due to the sensitive subject matter. But it was well written and had well-developed characters (so well developed that you wished one dead), and might be right for you if 221 (or so) pages of mental, physical, and emotional abuse don't sound like a daunting task. "foodie" read: No, but there is plenty of food mentioned (see above). teaser (from tlc tour page): On July 4, 1955, in rural Georgia, an act of violence threatens the life of Vidalia Lee Kandal Jackson’s pre-born daughter. Despite the direst of circumstances, the spirit of the lost child refuses to leave her ill-equipped young mother’s side. 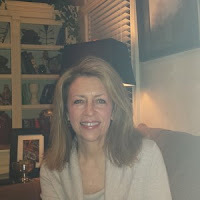 about the author: A transplant to the South, Deborah Mantella has lived and taught in various cities in the Northeast and the Midwest. Now a resident of Georgia she lives outside Atlanta with her husband. Mantella is a member of the Atlanta Writers Club, the Authors Guild, and the Society of Children’s Book Writers and Illustrators. This is her first novel. recipe inspired by the book: None this time, but I linked to some of the food mentioned in the book above, and those would all be good options.